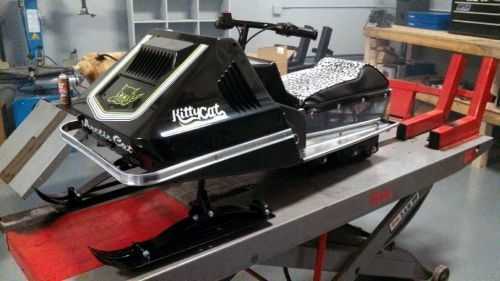 Shown above is an original Arctic Cat 1977 Kitty Cat that we fully restored. This machine was in rough shape when it showed up at our shop. Now it looks better than the day it left the dealership. Lots of our restoration looks better than new because of the advancements in technology. For instance, lots of parts were painted black back in the day and the paint didn't hold up. Today, if possible, we powder coat most parts. This gives them a better luster and longer lasting finish. Replacing point's and condensers with electronic ignitions is a great way to ensure good spark every time. We can polish aluminum parts that were originally a dull finish.